Alton Towers bed and breakfast - Cross Farm, Derbyshire, UK. 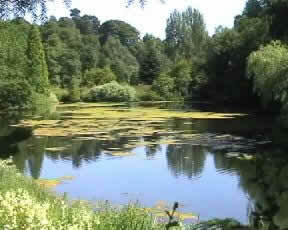 Cross farm b & b in Ellastone is on the doorstep of many of the midlands finest tourist attractions and places of beauty. Thrill seekers can enjoy Alton Towers and Drayton Manor, whilst the potteries boasts a wealth of attractions for those who are interested in traditions, arts and crafts and collecting pottery– Gladstone Pottery Museum, Spode, Royal Crown Derby . There are also a number of historic houses and gardens which are well worth a visit including Shrugborough, Chatsworth House, Moseley Old Hall, Haddon Hall and Renishaw Gardens. The more energetic of our visitors may enjoy a host of outdoor pursuits whilst staying in the beautiful Staffordshire countryside. Walks include, the Peak District, Manifold Valley, Edale, Thors Cave, Dovedale and the Staffordshire Moorlands. Cross Farm Bed and Breakfast farmhouse is near to local attractions like Alton Towers, Wedgwood Visitor Centre, Dove Dale, Sudbury Hall along with various National Trust properties. Cross Farm is just 12 minutes away from Alton Towers Theme Park in Staffordshire. Telephone bookings can be made by calling the Alton Towers Hotline on 0870 500 1100. The park opens from around April to November with various special events taking place throughout the year. It normally opens from 9.30 am with rides starting at 10 am. Alton Towers have added plenty of new attractions for the year including Cloud Cuckoo Lane and Sharkbait Reef. Old favourites include “Air”, Oblivion, Rita – Queen of Speed, Submission and the legendary Nemesis. Not forgetting the Water Park which is open all year round. Please feel free to ask us any questions on Alton Towers or other local attractions. We are here to help you relax and have an ejoyable break at Cross Farm. The Duncombe Arms pub in Ellastone is situated 5 minutes walk from Cross Farm along Main Road. There are plenty of good pubs offering excellent meals in the locality, including the award winning Coach and Horses in Fenny Bentley. Ellastone is also the home of 'Adam Bede'. In the book 'Adam Bede' (1859), George Eliot took the well-worn tale of a lovely dairy-maid seduced by a careless squire, and out of it created a wonderfully innovative and sympathetic portrait of the lives of ordinary Midlands working people - their labours and loves, their beliefs, their talk. The lovely 'Adam Bede' house still stands in Ellastone, 6 minutes walk away from Cross Farm. For visitors who enjoy walks, there are plenty of walking spots to choose from near Cross Farm. Nearby Weaver Hills has spectacular views of the beautiful countryside. If that is not enough, then the whole of the Peak District awaits. Dovedale, Illam, Bakewell and Chatsworth are all within an hour's drive away.